They are the world's largest living reptiles and can grow up to 23 feet. They are also one of the most ancient, having existed unchanged for nearly two hundred million years. Crocodiles are adept at learning and memorising routines, such as the location of nearby campers or the routes of travellers. In water, they tend to drag their prey under and drown them. Crocodiles can be found basking along river banks, Fresh Water Crocodiles in Australia can grow to about 3 metres. Main habitats include wetlands, rivers, creeks, freshwater billabongs and swamps. They display fairly wide habitat preferences (clear water, muddy, still, fast flowing, shallow or deep). Salt Water Crocodiles can also frequent ocean habitats as well as rivers and freshwater marshes near where people live. Their maximum size is enormous, more than 20 feet. When a crocodile warms-up, their heart rate increases and more blood flows to the surface. This speeds up heat intake and distribution through the body. Crocodiles are protected in many parts of the world, but they also are farmed commercially. Crocodiles are hunted for their meat, their skin (which is made into leather), and their musk (which is used in perfumes). Because of hunting and destruction of their habitat most crocodile species are endangered. The adult crocodiles are conditioned to respond to distress calls of the young. Despite parental care, mortality in hatchling crocodiles is generally over 90% due to predators like fishes, crabs, snakes, monitor lizards, raptors, large wading birds, mongooses, foxes, and jackals. Crocodiles are fast over very short distances out of water. They have extremely powerful jaws capable of biting down with 3,000 pounds of pressure per square inch, and sharp teeth for tearing flesh, but cannot open their mouth if it is held closed. These crocodiles make their home in inland freshwater rivers, billabongs and swamps of northern Australia. they are generally very timid and primarily eat insects and small fish. As with all native wildlife these amazing creatures should be treated with respect and not interfered with. Despite passage of wildlife protection laws at the national level, communities are often unaware that crocodiles are officially protected. Freshwater crocodiles are common in the Kimberley , where they bask in and around rivers, lakes and pools in gorges. While they may look ferocious, they are relatively harmless. Saltwater crocodiles can be dangerous, they are also quite capable of living in the open ocean for periods of time and will cross large expanses of water to reach new areas. Young crocodiles are about 30 centimeters (1 foot) long at birth. After that, they will grow about 25 centimeters per year (10 inches) until they reach six years of age. Saltwater crocodiles are big and awe-inspiring. Males reaching 5 m long regularly and some odd individuals reaching 6-7 meters. Females will lay up to 50 eggs in a large pile of vegetation, sand and soil, usually on the banks of a river, swamp or estuary. They also point out that because saltwater crocodiles are migratory, rivers cannot be assumed to be croc free, as a croc could have moved in recently. These reptiles are very intelligent and instinctive, and have great memory capabilities. If something causes a crocodile stress it will avoid that cause of stress for the rest of its life. The adult crocodiles are said to feed on anything it can outswim or ambush and overpower. Odd objects like chunks of wood, pebbles and even rocks are found in crocodiles stomach. Australia's tiger snake has a broad head and heavy built. This snake is a venomous specie that had its fair share of mortality incidents in Australia, primarily in the southern areas. Tiger snakes have a variety of colours, and there is a wide difference of characteristics of tiger snakes depending on where they dwell. They are also classified according to the island or region where they live. Tiger snake's potent neurotoxin (notexin) makes it on the world's list of most deadly snakes. Symptoms of a bite include pain in the foot and neck region, tingling, numbness, and sweating, proceeded by rapid onset of breathing difficulties and paralysis. Death rate for this species is over 60% if not treated. The Pressure Immobilization Method is used to stop the flow of venom through the lymphatic system. Medics employ broad thick bandages applied over the bite site, and down and back along the limb to the armpit or groin. The victim's affected limb is immobilized with a splint. In the event that traces are left near the wound, the medics can identify the type of venom. If you're bitten in Tasmania, you do not need to name the specific type of snake, for the same anti-venom is used to treat all Tasmanian snakes' bites. The availability of anti-venom in most centers has resulted to the great reduction of fatal tiger snake bite incidents. Identifying a Tiger snake means you should keep in mind that color will not likely to take you further because it's not a very reliable method of identifying such snake. The reason for this lies in the large number of acceptable colors for tiger snake species. The best way to identify the Tiger snake is with a scale count or venom test kit, which is, unfortunately, One need to have contact first with the cold slithering and rubbery creature (and biting, if I may add). This is why, for most people, colour-identifying is much preferable. Green tree frogs are one of the most popular pet frogs. These are just fantastic and enchanting-looking creatures. With there harmless nature and distinct characteristics, there's no doubt many people are having them as pets. Although they are a least concern for extinction, these major amphibians deserve proper care and attention for reproduction and preservation. Like other tree frogs, the Green Tree Frog (also known as Australian Green Tree Frog, White's Tree Frog, or Dumpy Tree Frog) has toe discs on the tips of its toes and fingers. The fingers and toes have large expanded discs on the ends and the toes are fully webbed. A pair of large partoid glands extend back from the eye on to the shoulders. Their thighs varies from yellow to maroon and the eye is a pale gold. Their skin is smooth and is bright green to a dull gark olive green in color on top and the underside colour can vary from white through to brownish white or pinkish. They normally have a series of white spots from the corner of their mouth to the base of their forearm. Green Tree Frogs can grow to 10 cm (4 inches) for females, while males are a little smaller at 7.5cm (3 inches). Largest known size is 6in/15cm. They live up to about 16 years. These tree frogs are wonderfully curious and have definite individual personalities and antics. There are quite big ones and also tiny little ones that stick to the surface and often look longingly in a certain spot. Like many frogs, Green Tree Frogs call and make "warking" sounds not only to attract a mate. They have also been observed calling to advertise their location outside the mating season, usually after rain, for reasons that are even uncertain to researchers. The tree frog's diet includes spiders, crickets lizards, other frogs and cockroaches and, when in captivity, it will even eat small mice. Green Tree Frogs can also feed on insects, small birds and even small mammals like mice and bats. It catches its food with its strong jaws and often will use a hand to force the food down. Green tree frogs live in many habitats and is often found around human buildings such as shower blocks, water tanks and toilets. Although they adjust well to human habitation, their natural habitat which are on ponds, creeks and trees are more suitable for there biological nature. It is alarming however that these natural habitats are slowly disappearing because houses are being built on land that has been cleared. The green tree frog is distributed through the eastern and northern parts of Australia. It prefers cool damp places and, particularly in more arid areas, and will often use human habitation for shelter. The main danger to the green tree frog is the destruction of its habitat through wetland clearance and drainage. Also a disease has become an important threat, particularly a type of fungus called a chytrid fungus that attacks the frog's skin. Don't overfed them. One problem commonly associated with keeping this species as a pet is overfeeding; Green Tree Frogs tend to become obese if overfed. In the wild, exertion of energy is required for a frog to capture its prey. Make sure they have enough space to explore. They can make a lot of noise long into the night and setting up an ideal terrarium is one vital plan you should prioritise for them to survive and continue enchanting more people. Apart from its fantastic beaches, the world famous Sydney Opera House, and surfing sites, Australia is also famous for nesting deadly animals, venomous snakes in particular. While most people flinch upon the mention of these exotic creatures, others have gone to full extent of studying their nature and their contribution to Australia's diverse ecosystem. This fearless research has led to the discovery of four of Australia's deadliest snakes. While the Inland Taipan has the most potent venom of any land snake on earth, it is surprisingly shy in nature. It's venom is overwhelmingly potent that the nervous system is severely affected when in the bloodstream. Symptoms are vomiting, flaccid paralysis, and eventual respiratory paralysis - simply one of Australia's deadliest snakes. The Inland Taipan dwells in rat burrows (and had probably eaten its tenants). They are also found in deep soil cracks and sink holes, sometimes in rock crevices and deep fissures. The snake's favorite food is mostly small to medium-sized mammals. They are most active on the surface in the early half of the morning when it bask. During cooler temperatures, it's active in the afternoon, and in hot weather it shifts as a nocturnal. There can be only one snake that comes in mind when words like who's-responsible-for-most-deaths-caused-by-snakebite-in-Australia, and that is the Eastern Brown Snake. Even with the efficient first-aid treatment and anti-venom aids, still there one or two deaths every year. 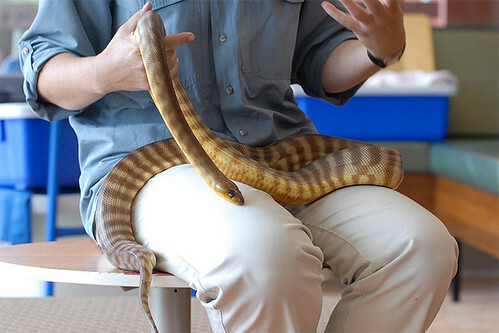 A large adult brown snake may exceed two meters in length. They can move at surprising speed on hot days. Eastern Brown Snake has a slender body and varies in color ranging from uniform tan to grey or dark brown. Their belly is cream, yellow, or pale orange with darker orange spots. Spring finds male brown snakes engaged in a ritualized combat dance with one snake trying to dominate and dethrone each other. Like with other animal rituals, the triumphant will have the right to mate with the females, who will then lay up to 30 eggs in late spring or in the beginning of summer. Coastal Taipans are large snakes dwelling in Australia, Irian Jaya, and Papua New Guinea. They are fast diurnal types that track down their prey in a quick and efficient method. The coastal taipan comes in a pale to dark brown in color and black fading to a lateral cream, although juveniles are lighter in color. Tiger snakes give live birth, usually between 12 - 40. Tiger Snakes prefer to live close to water where they feed primarily on frogs. Tiger snake's potent neurotoxin (notexin) makes it one of the world's deadliest snake species. You know you're bitten when you feel symptoms like pain in the foot and neck region, tingling, numbness, and sweating, proceeded by rapid onset of breathing difficulties and paralysis. The aforementioned factors were enough to simply categorize the tiger snake as one of Australia's deadliest snakes. Did you know that 20 of the 25 most venomous snakes in the world are found in Australia? Australia is the only continent where venomous snakes (70%) outnumber non-venomous ones. Australia's deadliest snakes are the brown snakes (responsible for around 60% of deaths caused by snakebite) and the venomous land snake on Earth (tested on mice) is the Inland Taipan found in arid regions of central Australia. According to Tropical Topics newsletter produced by Stella Martin at the Queensland Environmental Protection Agency, there are six main snake families in Australia--elapids (venomous snakes, the largest group), colubrids ( mostly 'harmless' snakes) pythons, blindsnakes, file snakes and sea snakes. A major classification of Australian venomous snakes taken from the University of Sydney Discipline of Anaesthesia community articles include Brown Snake, (Eastern, Gwardir, Dugite), Taipan, Tiger Snake, Death Adder, Copperhead, King Brown Snake (Mulga snake), Redbellied Black Snake, Rough Scaled Snake, and Inland Taipan (Small Scaled snake). Snake identification or description is very crucial because not all snakes are venomous, and because different kinds of anti-venom exist for every specie of snake. For snake identification, doctors may use a Snake Venom Detection Kit (SVDK) to examine the traces of venom left in the bitten area. It is estimated that between 50,000 and 60,000 people die of snake bite each year around the world. By comparison, in Australia, it is estimated snakebites incidence are between 3 and 18 per 100,000 with an average mortality rate of 4 per 100,000 every year. Some deaths are sudden, however it is uncommon to die within four hours of a snake bite. If untreated, high levels of venom could cause death in a short time. Despite of this, very few deaths result from snake bites because of the availability and wide access to anti-venom in recent years. Snake venoms are a complex mixture of polypeptide and other molecules that adversely affect multiple homeostatic systems within their prey in a highly specific and targeted manner. Amongst the most potently toxic venoms in the world are these major Australian venomous snakes, and so snake identification has become a crucial part of survival among the snake-bite victims. 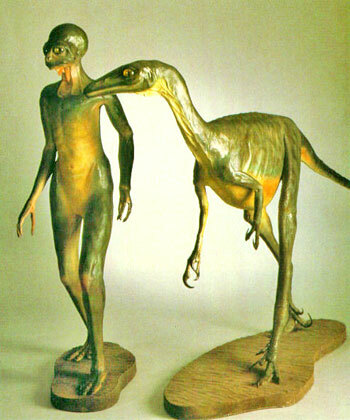 These hypercarnivore reptiles are celebrated for centuries in history and religion as a highly-symbolic animal. Modern studies have been made to understand there biology and behavior. Snakes are shy by nature and will only bite animals or humans if they feel threatened or looking for food. Subsequently, most snakebites occur when people try to catch or kill them.